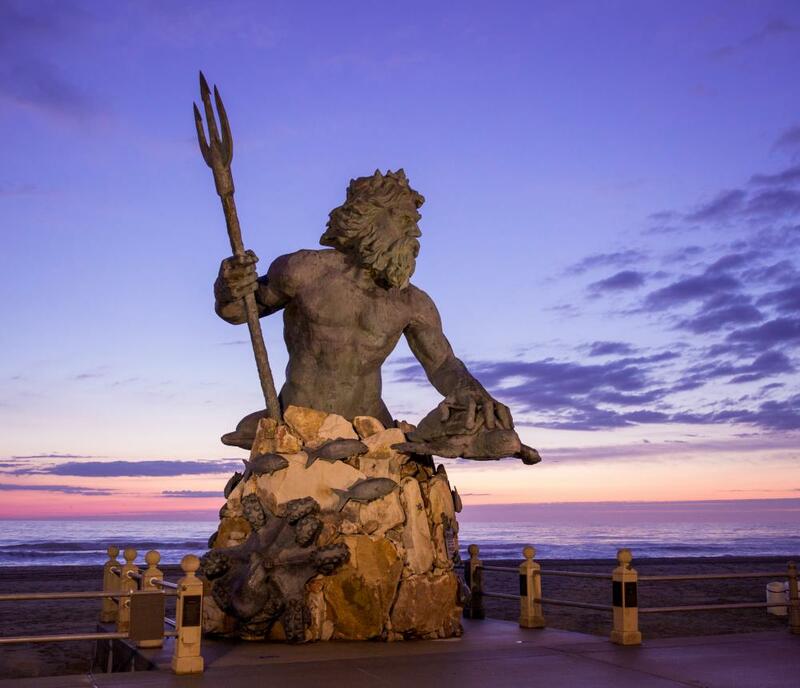 He stands 26 feet tall, sun reflecting off his frame, wave-inspired curls cast in bronze. 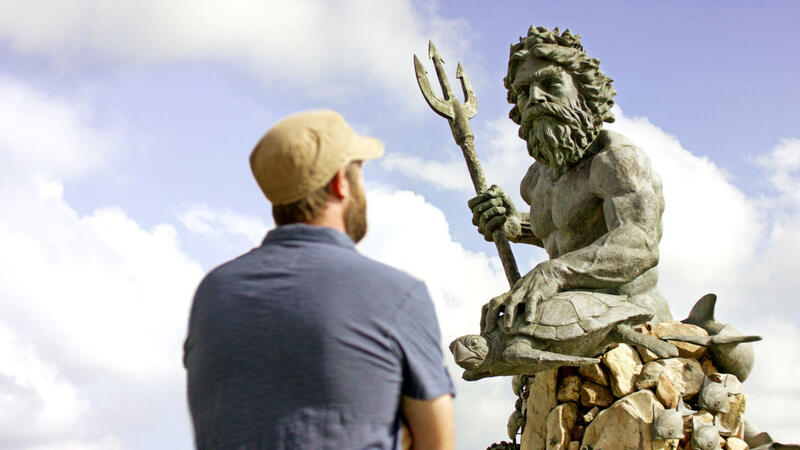 He is the son of Saturn, Lord of the Sea. 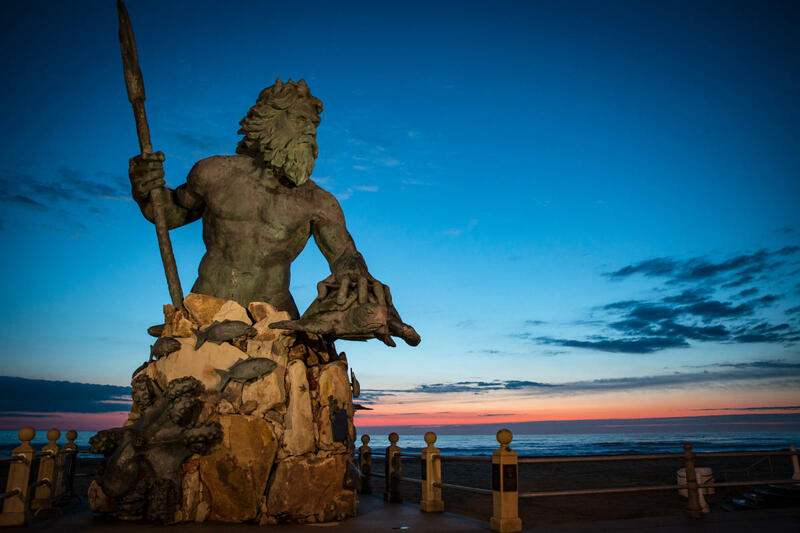 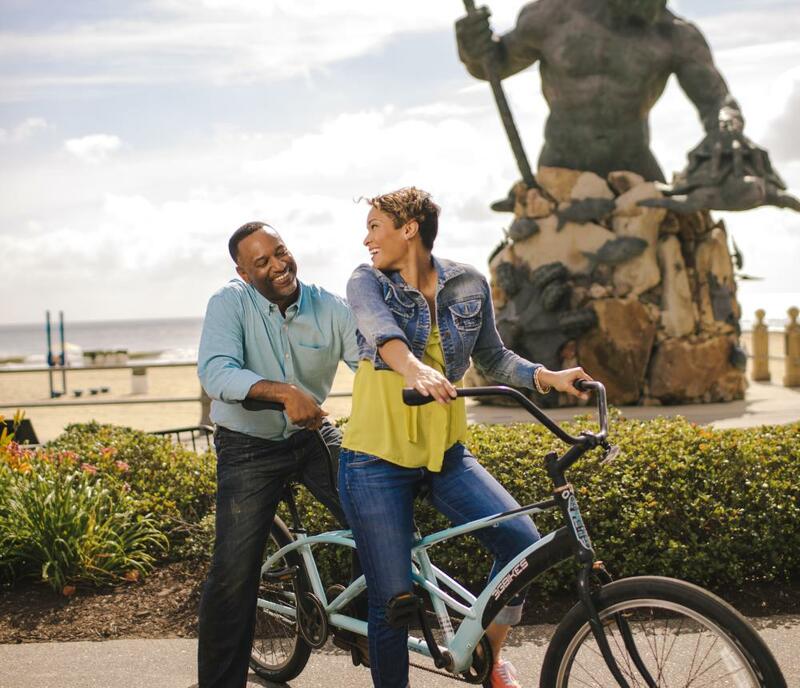 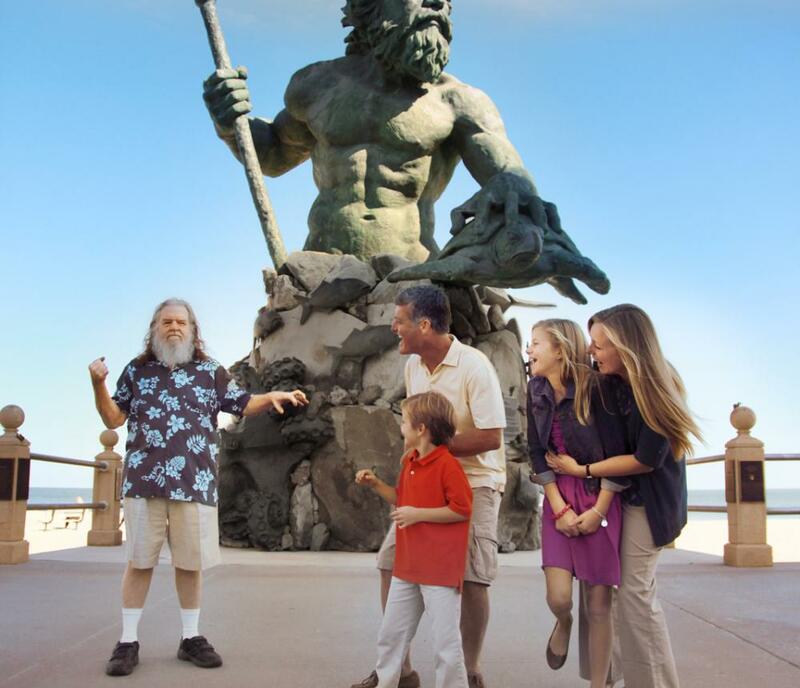 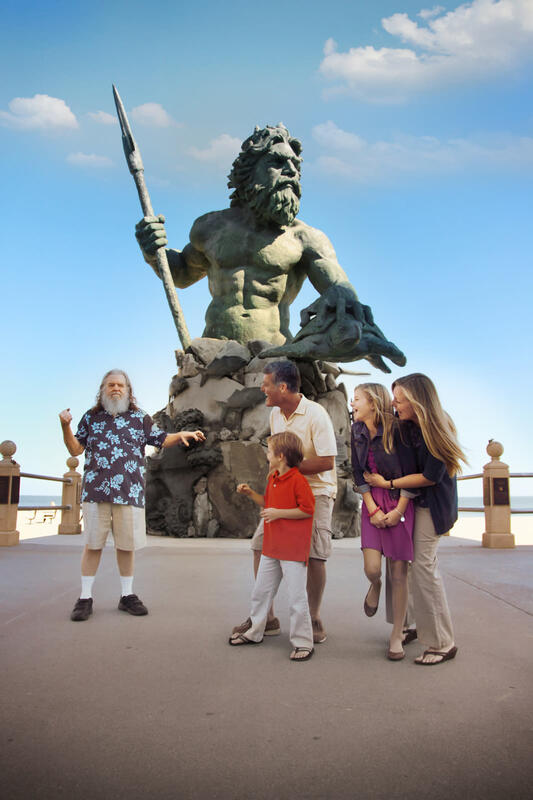 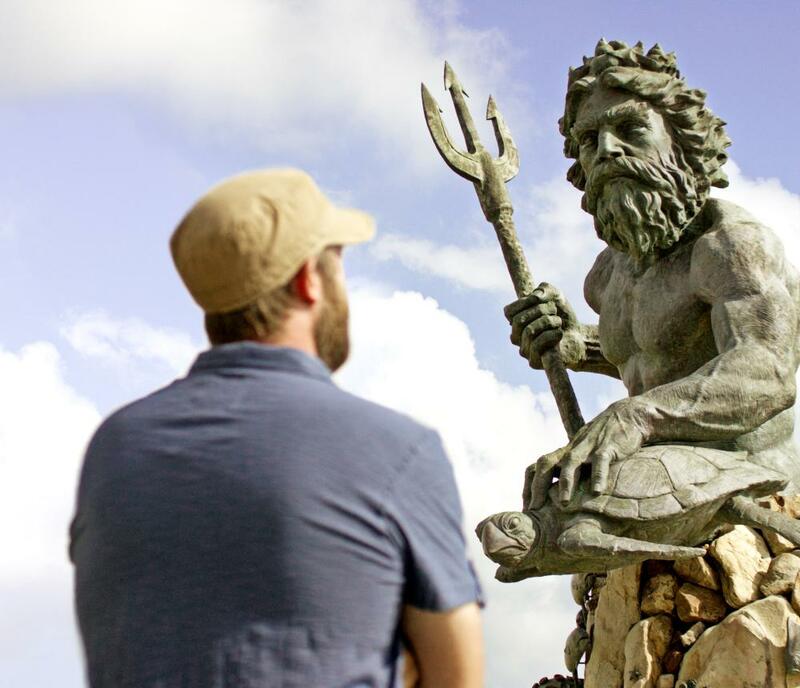 He is King Neptune, and with a majestic presence only he can muster, he presides over Virginia Beach’s newest oceanfront park. 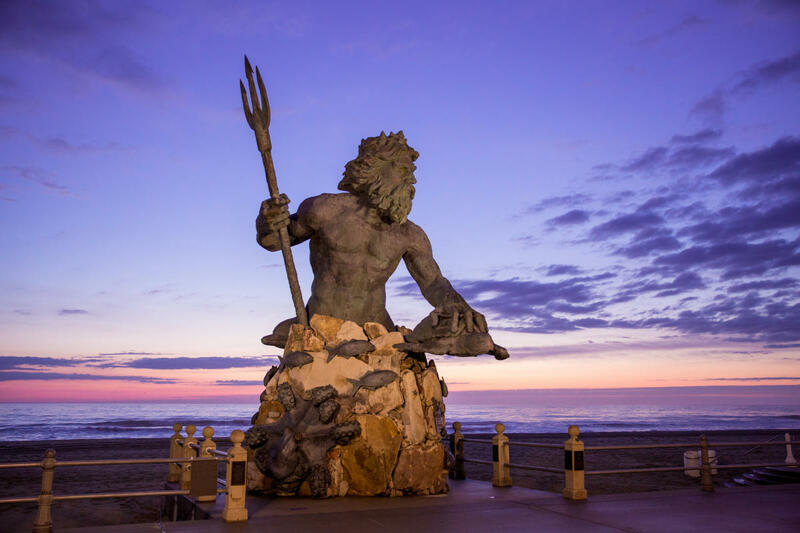 Located at 31st and Atlantic, Neptune’s Park is the third venue of its kind along the resort strip. 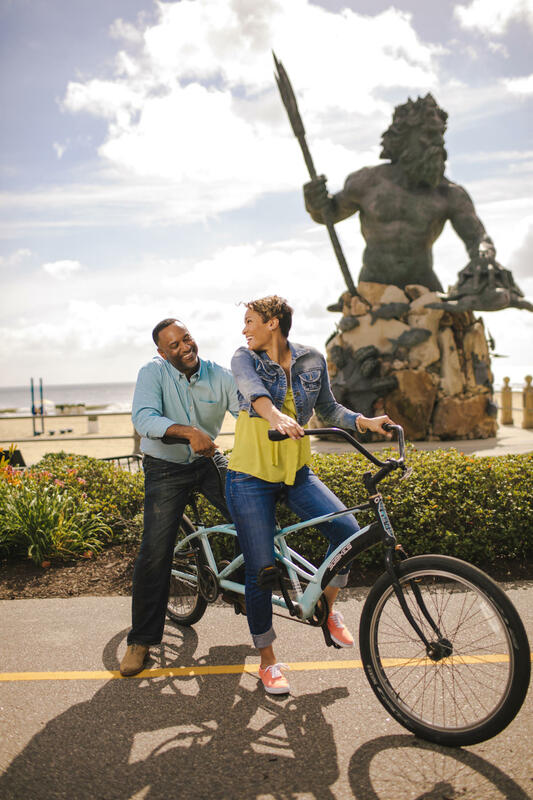 Like its sisters at 17th and 24th Streets, it’s a setting for entertainment, as well as a place for people to congregate, to stroll, or to stop and enjoy the view. 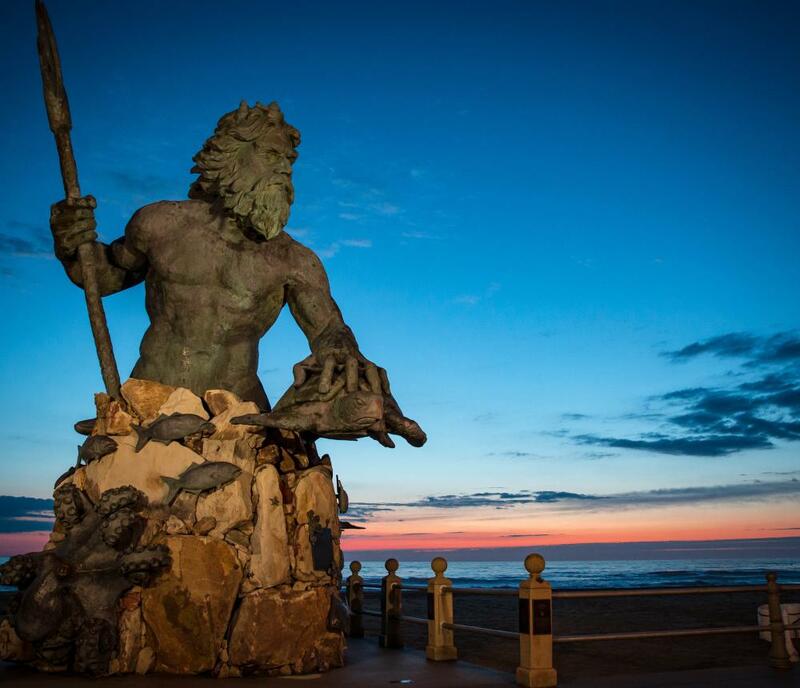 And what a view it is.